Please read carefully the rules of booking below. Every booking, After your confirmation, has contract value according to Italian legislation. The contract is binding for those making the reservation and all the other subjects mentioned in the same, minors included. AND’ can send a request of availability and wait for our reply. Following the request you will receive an offer (not binding). The reservation is considered confirmed only after our written notice stating the total price of the stay and after the payment of the deposit, be made within 3 days of our confirmation. If payment is not made in time,the reservation is to be understood as nothing. The reservation becomes binding for Villa Carlo Resort only upon receipt of a copy of the payment receipt of the deposit or credit card details on which sampled licensed. Send copy of payment via email (info@villacarloresort.it) or by fax to (+39) 0923 968494. So Charles Villa Resort promises to send the client a confirmation e-mail or a summary voucher to present at check-in. The booking confirmation implies acceptance of our terms of cancellation and deposit. The kindly check the accuracy of the above data confirms and inform us as soon as possible any anomaly. Communication must be received no later than 4 days of receipt of same. After this period we decline all responsibility for any inaccuracies. Upon arrival is required to submit a document for approval for each person. To make changes to your booking you must contact the reception staff, It will do everything possible to satisfy the request. However, There is no guarantee the fulfillment of this request. In case of booking to a period for which the price is higher than the amount paid, the customer is obliged to pay the difference. AND’ required the payment of a deposit (excluding city tax & service options) no later than 3 days from the date of the booking confirmation. In case of non-receipt of the deposit within the dates indicated, the reservation is nothing. The same applies to the balance. In case of non payment of the balance, the reservation will be cancelled. As provided for by the civil code in art. 1385, will not be returned in case of cancellation or no show. The balance must be paid on arrival. Any extras must be paid before departure. indicating the date of your reservation, the telephone number and the email address ’, you will receive confirmation. Villa Carlo Resort reserves the right to check the validity of the credit card prior to arrival of the client requiring a preauthorization to membership. With the pre-authorization l ’ hotel ensures the temporary availability of ’ total amount of the stay, or part thereof, to make sure the credit card is valid. NO AMOUNT IS CASHED. The preauthorization expires automatically after 20 days from the date the request and the amount is released. If preauthorized fails the client will be notified and your booking will be cancelled. In this case the ’ hotel will not have any obligation towards the customer. If you booked this special rate, the full amount will be charged on your credit card or by bank transfer. The full amount is non-refundable in any circumstances. At certain times may apply different payment terms. Please kindly refer to your booking confirmation. The prolongation of stay requires additional reservation, and is subject to availability and price changes. 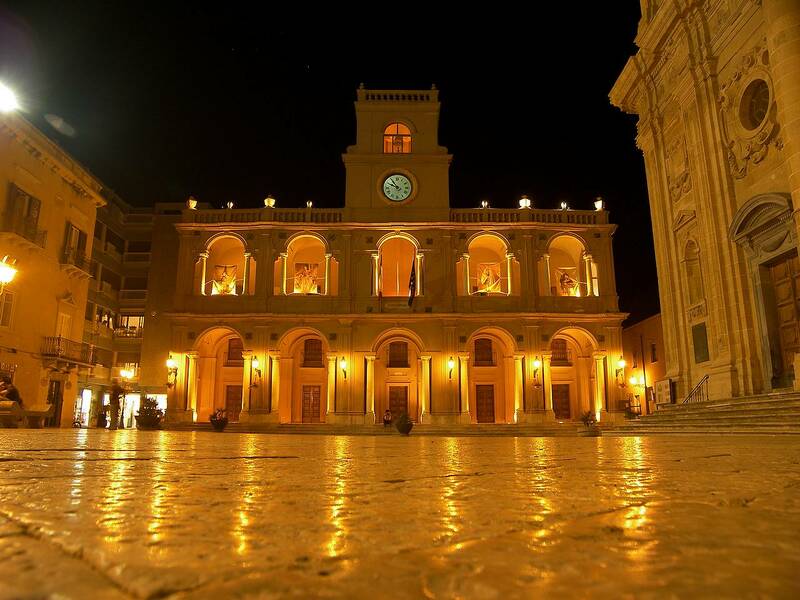 From 21 May 2014 It was established by the municipality of Marsala l ’ tax (by resolution of the City Council No. 60 of 9 April 2014): € 2,00 per day per person (excluding children under 14 years) for a maximum of 5 consecutive nights. This is not included in the room rate and must be paid directly by our customers, in cash, subject to the exemptions and reductions provided for in municipal regulation. Any cancellation of a reservation must be communicated in writing. For cancellation conditions please kindly refer to your booking confirmation. In case of cancellation or changes to 3 days before date of arrival is not charged. For cancellations or changes beyond the deadline will be charged, credit card data as a guarantee, the cost of the first night per room cancelled for stays up to 3 nights, While for longer stays, the 50% of ’ total amount of the booked stay. This cancellation policy is not valid for discounted rate not refundable (in this case the amount of the reservation will be charged at time of reservation and will not be returned in case of cancellation). Cancellations for holiday periods (Christmas, New Year's Eve, Easter etc..) or high season (23 July-September 5): will be accepted up to one week before the check-in date. Villa Carlo Resort reserves the right to credit the total amount due in case of cancellations after this period. In case of no-show, the deposit will be withheld, or charge the credit card given as guarantee for the first night. By making a reservation, the one who completes the process is identified as the Group's representative and confirmed to be authorized by the other participants to adhere to the conditions of booking and cancellation policy of Villa Carlo Resort. The contact group is responsible for the total of billing for all bookings confirmed by him. Required after the expiration date will be communicated directly and exclusively from the parent company. Bookings do not include modifications. You would need to cancel your reservation and make a new. To confirm your reservation you will be asked for a deposit equal to 30% or to 50% of the total booked services. The deposit is not refundable ever confirmatorio. The referent group is responsible to send the final list of customers as soon as possible and in any case not less than 15 days prior to arrival. Any cancellations must be received in writing (via email or fax). from 7 to 0 days before the arrival date will be charged a penalty equal to 100% the entire booked stay. In case of "no show" or early departure will be charged a penalty equal to 100% the entire stay. The departures will be charged for the entire booked stay. The booking confirmation implies acceptance of our terms of cancellation and deposit. The management declines all responsibility for problems due to missing supplies, incidental equipment failures or other causes of force majeure. The manufacturer declines all responsibility for damage caused by other guests, from weather events, natural disasters, epidemics, disease and theft. Do not hesitate to contact us at the following e-mail address: info@villacarloresort.it or contact information on the site www.villacarloresort.it , our staff is always at your disposal for every request.